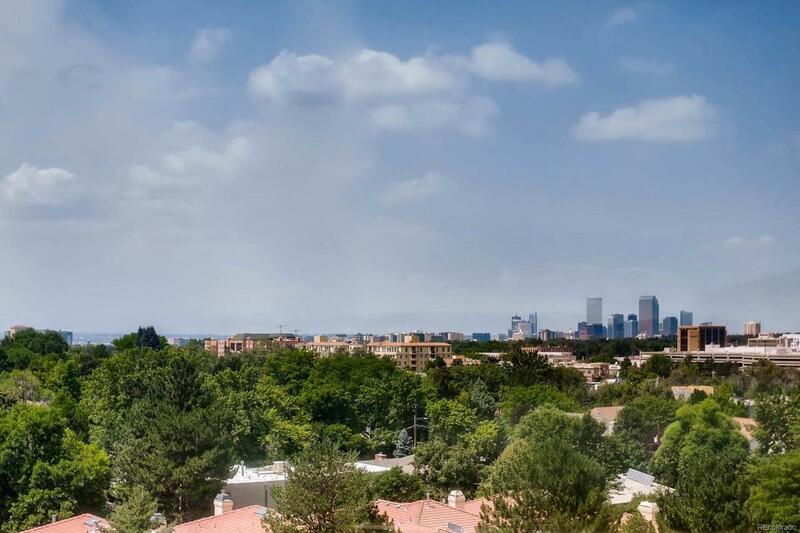 This condo boasts City and Mountain views. The home features 2 bedrooms, 2 baths and picturesque sun room. The kitchen has tile flooring, granite tile counter tops and newer appliances. Reserved parking space #54 in garage. Storage locker in the basement. Enjoy the garden area on the north side of the building. Entertaining lawn games, gazebo, and grill for parties. HOA provides equipment for the games and grill. The pool, the indoor party room, and the adjacent patio are the perfect place to host your family gatherings. A quick 10 minute drive into downtown. Near Cherry Creek Country Club and Cherry Creek mall. Walking distance to restaurants.